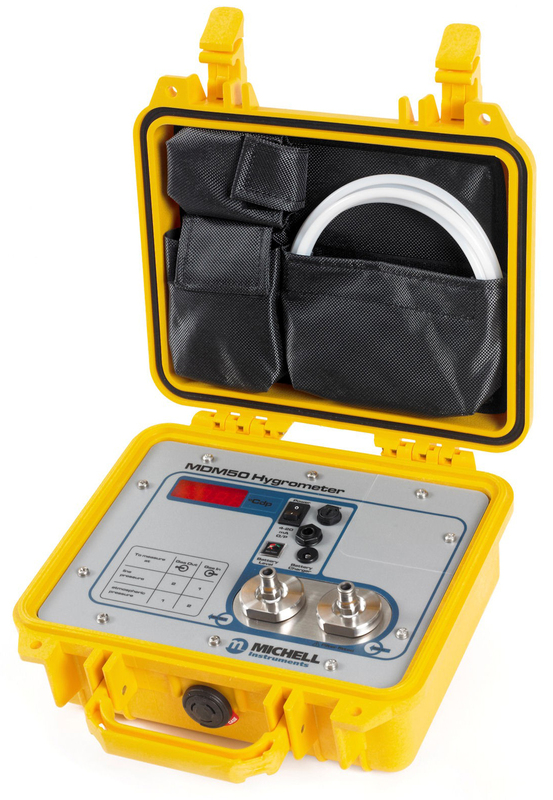 Instrotech is offering the Michell MDM50 portable hygrometer that quickly and simply takes spot checks of dew point or moisture content down to -50°C dew point. 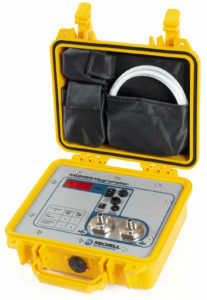 Because it has its own self-contained sampling system, setting up the MDM50 involves simply connecting the hose to the sample point: there are no extra sample conditioning add-ons to purchase or to carry around. The integral sampling system allows for measurements of dew point to be made at pressure, up to 20 bar, with an option available to measure up to 300 bar. The integrated filter removes particulates down to 0,3 μm which provides 99,5% protection to the sensor. The fast-responding polymer moisture sensor of the MDM50 gives rapid dew-point measurements in compressed air – T95 to -35°C from ambient typically in less than 5 minutes. The sensing element is highly stable, resistant to contamination and, along with the robust and sturdy case, this means the hygrometer is well-suited to the often tough conditions in industrial applications.